visting from gardners 2 bergers today! Happy Monday everyone! We are in route home from Disney so as you can imagine it was a great weekend. I have the day off too which makes it an even better Monday! I’ll share the details about our trip this week once I get the pictures off the camera. Right now my main priority is getting home to the mutts who we miss dearly. 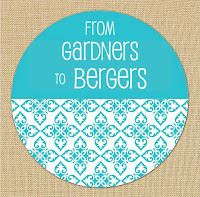 I’m over visting Becca at From Gardners to Bergers sharing my craft room. Yes, I know you have seen it quite a few times already but don’t go over to see me. Go check out her blog if you haven’t. Skip right over my craft room and check our her project gallery. You’ll understand why she is one of my favorite bloggers. Don’t believe me? 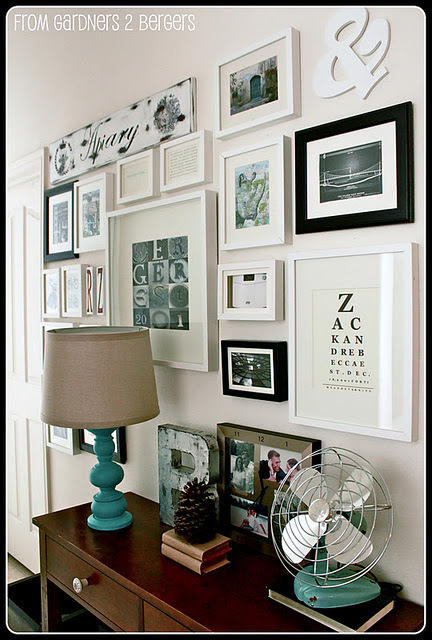 Take a look at her gallery wall. And do you see that vintage fan? I want it. 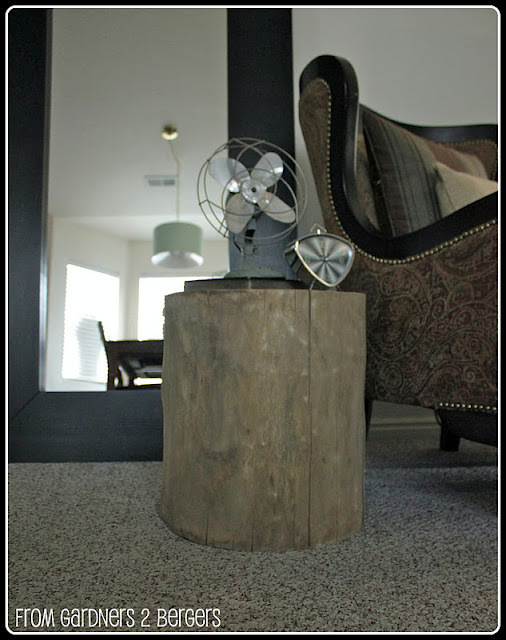 Or how about this knock off tree stump table she made? off to see it! have a good monday! Heading over now, already saw it on my blog roll! Glad you had a good time and I’m sure the doggies missed you! Thanks so much for the beautiful shout out! I so appreciate the sentiments! 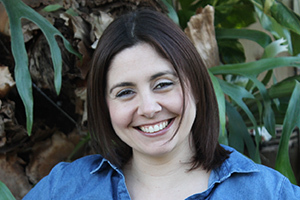 Thanks again for letting me share your room with my readers! Disney? I’m so jealous. Off to check out your post!